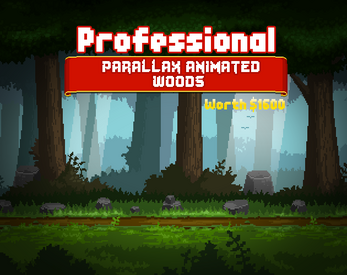 Create awesome looking pixel art games with this high quality parallax background! Skillfully created by an experienced pixel artist, this background has 7 separate layers to allow a deeply customizable parallax effect as well as various animated eye candy, to give more life to the scene! Note : The characters shown in the screenshots are taken from our other pack, Pixel Art Medieval Fantasy Characters Pack. Check it out of you are looking for gorgeous pixel-art animated characters and enemies! 3 godrays of various width, giving some brightness and sun to the scene. Tip : add them inbetween the far layers with a low opacity, and make them lazily move left and right, very slowly. The effect is beautiful and gives a whole atmosphere to the scene! 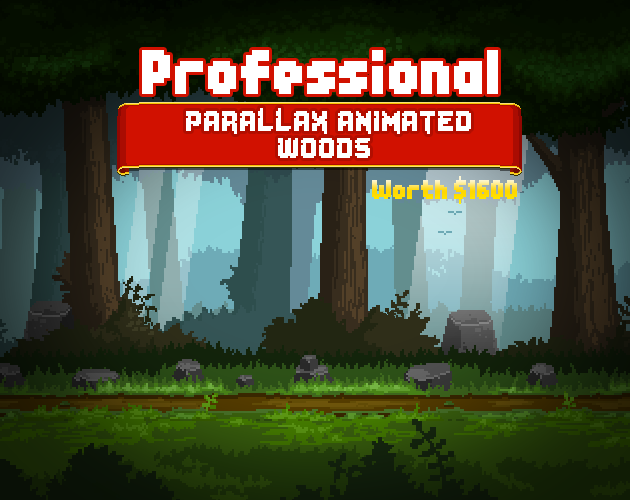 Parallax Woods Pack update 1.1!